While many of us take pride in the things that we own, it doesn’t take long for an accident or a natural disaster to wreak havoc on our nice items – which can oftentimes cost a great deal to repair or to replace. The good news is that Denver homeowners and property insurance can help us to do just that. But sometimes, finding the right policy and protection can be somewhat difficult. Finding home owner’s and property insurance for people in Denver Colorado – or anywhere – doesn’t have to be a chore, however. With today’s Internet technology, the information that once took days or weeks to obtain, can now be collected in mere minutes. You just need to know what to look for. When searching for home and property insurance, there are several pieces of information that an insurance company will need from you in order to determine an appropriate premium quote. In turn, you will also need to obtain some information from the insurers that you are considering in order to decide if the carrier will be the very best one for your protection needs. Certainly, one of the first things you will want to know is whether or not the carrier offers the specific type (or types) of coverage that you are seeking. For example, are you in search of insurance for your home or your business? Your auto or a property? A residence or other type of shelter? All of these parameters can make a big difference in both coverage type and premium price. You will also want to check on the financial stability of the insurance company itself. For example, here, insurance carriers have typically been rated by rating agencies such as Standard & Poor’s, A.M. Best, Moody’s, Fitch, and TheStreet.com. In doing so, these agencies give letter grades of between A+ and F – similar to report card grades that are given to students in school. Just like school grades, the higher letters are indicative of a stronger insurance company – both in terms of financial strength and stability, as well as in the insurer’s claims-paying reputation to its policyholders. It is, however, important to note that an insurance company’s past performance will not always be an indication of its future performance. Once you have determined that an insurance company has the type of coverage that you are seeking, and it has a strong financial capability, you will want to do a comparison of policies and premium quotes from several competing carriers. When doing so, be sure that you are comparing apples-to-apples plans. In other words, the policies that are being compared should all offer the same – or at least, very similar – benefits. Once you have gone through this process, you will be able to determine which of the insurance companies – and in turn, which policy – will be the best one for your specific coverage needs. Although you could spend many hours making phone calls or meeting insurance agents in local offices, the truth is that the best way of finding home owner’s and property insurance for people in Denver Colorado is actually to work with a company or an agency that has access to more than just one insurer. That way, you will be able to more directly compare – in an unbiased manner – policies, benefits, insurance carriers, and premium quotes, in order to determine which coverage will truly meet your specific needs. When you’re ready to move forward in doing so, we can help. We work with many of the top home owner’s and property insurance companies in the marketplace today, and we can help you to find the important information that you need in order to make a more informed buying decision. If you are ready to begin the home owner’s and property insurance comparison process, all you need to do is just simply get started by filling out the form on this page. Should you find that you have any questions at all regarding home owner’s or property insurance policies, about how to determine a home owner’s or property insurance quote, or even a question about other types of insurance, please feel free to contact us directly. We can be reached via phone, toll-free, by calling (720) 209-4598. Our experts are here to assist you with any details that you may need in order to make a more informed buying decision prior to moving forward. 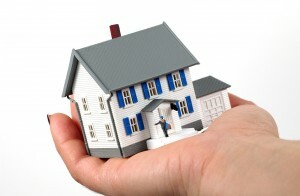 We understand that the process of purchasing insurance can at times seem to be overwhelming. That’s why we have streamlined the process, making it much easier for our website visitors. So, contact us today – and see how we can help.